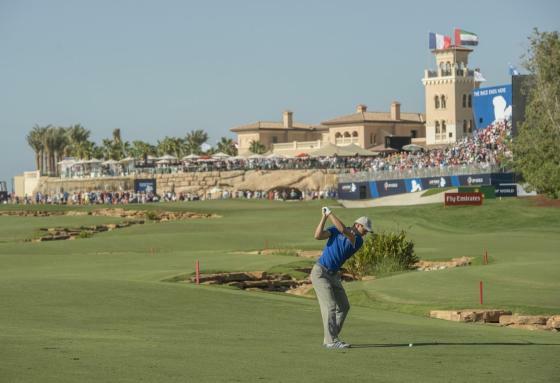 Geneva, Switzerland, Monday, 5 November 2018 – Now in its 10th year, the DP World Tour Championship, Dubai will be contested by the top 60 players on the European Tour’s Race to Dubai Rankings Presented by Rolex on 15 – 18 November 2018 at Jumeirah Golf Estates. Set against the backdrop of Dubai’s glittering city skyline, the tournament marks the final Rolex Series event of 2018. Launched in 2017, the Rolex Series presents a global programme of golfing showpieces on the European Tour, which Rolex has partnered since 1997. The elite field is set to include many of the stars from the victorious 2018 European Ryder Cup Team, including Testimonees Thorbjørn Olesen and Jon Rahm, who will be defending his 2017 title. For 28-year-old Olesen, victory on Jumeirah’s Earth Course would make for the Dane’s second Rolex Series win in the same calendar year, after winning the Italian Open in June. In doing so, he would follow in the footsteps of 24-year-old Rahm, who won the 2017 Irish Open ahead of being crowned the winner in Dubai. Fellow players from the Rolex golf family contending the DP World Tour Championship include Rahm’s compatriot Rafa Cabrera Bello, who is also a previous Rolex Series winner; Belgians Thomas Pieters, a three-time European Tour winner, and Thomas Detry; 2016 DP World Tour Champion Matthew Fitzpatrick, from England; and Haotong Li, from China, who won his second European Tour event early this year in Dubai. Established in 2009, the season-long Race to Dubai concludes at the DP World Tour Championship, with the leader of the Race to Dubai Rankings Presented by Rolex crowned alongside the tournament winner, to wrap up a season comprising 47 tournaments spanning 30 countries. To download copyright-free, high-resolution photography, for editorial use only, please click here. Through an unwavering commitment to the game of golf for more than 50 years, Rolex has developed one of the broadest and most enduring relationships between brand and sport, in the world. Rolex has always contributed to the further development of golf worldwide through its partnerships with guardians of the global game – organizations with the responsibility of advancing the sport, such as the European Tour. Coinciding with the 20th anniversary of this partnership, in 2017, the Rolex Series was launched as the premium tournament category on the European Tour’s International Schedule. Presently comprising eight tournaments staged in a variety of golfing locations around the world, Rolex Series events offer a minimum prize fund of US$7 million. 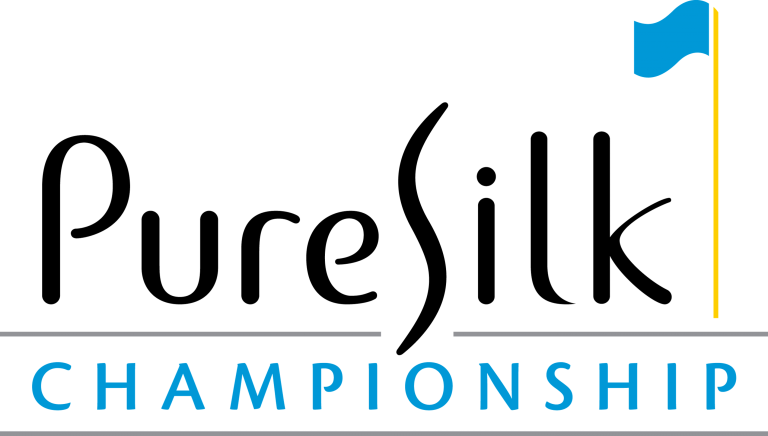 The 2018 roster of Rolex Series tournaments include: the BMW PGA Championship (May 24-27); the Italian Open (May 31-June 3); the HNA Open de France (June 28-July 1); the Dubai Duty Free Irish Open hosted by the Rory Foundation (July 5-8); the Aberdeen Standard Investments Scottish Open (July 12-15); the Turkish Airlines Open (November 1-4); the Nedbank Golf Challenge hosted by Gary Player (November 8-11); and the season-ending DP World Tour Championship, Dubai (November 15-18), where the leading golfer of the Race to Dubai Rankings presented by Rolex will be crowned. COLORADO SPRINGS, Colo. (March 16, 2018) – The countdown has begun. Saturday, March 17, 2018 marks 100 days until the start of the 39th U.S. Senior Open at The Broadmoor. This United States Golf Association (USGA) National Championship will begin staged on The Broadmoor East Course Monday, June 25 through Sunday, July 1. The Senior Open will serve as the capstone event of The Broadmoor’s year-long Centennial Celebration. Elway: 2018 U.S. Senior Open Honorary Chair, John Elway, will attempt to qualify at The Broadmoor on Monday, May 28. Corporate Hospitality: 94% of the hospitality inventory has been sold due to a tremendous response from local, regional and national companies. A limited number of custom packages remain available on a first-come, first-served basis. Tickets: Tickets have been purchased by fans in 47 states. 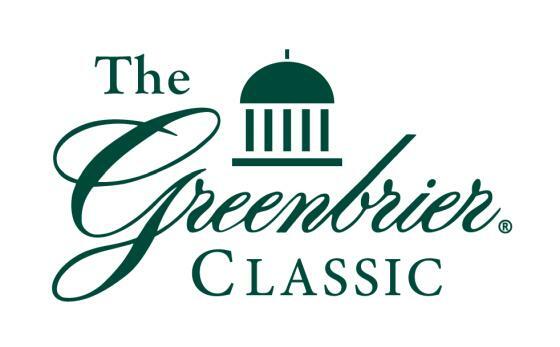 A variety of ticket options, including the recent release of the Medalist Package (including a Broadmoor Centennial commemorative coin), are available for purchase on the championship website. Kids in Free: The championship provides all kids, 17 and under, free admission when accompanied by a ticketed adult. Kids are encouraged to visit the junior tent located in the main entrance where they can get a complimentary golf lesson and information about junior golf programs. Military Ticket Discount: All Active Duty, Retirees, Active Reserve, and Veterans of any branch of service and immediate dependents receive complimentary admission on Monday, June 25th for Military Day at The Open (MDO) and 50% off gallery ticket options for the remainder of the week. Details are available on the championship website. Television Coverage: FOX Sports will provide five days of live coverage including primetime exposure Thursday, June 28 through Sunday, July 1. R&A, we govern the sport via a global set of playing, equipment and amateur status rules. Our operating jurisdiction for these governance functions is the United States, its territories and Mexico. The USGA Handicap System is utilized in more than 40 countries and our Course Rating System covers 95 percent of the world’s golf courses, enabling all golfers to play on an equitable basis. The USGA campus in Liberty Corner, New Jersey, is home to the Association’s Research and Test Center, where science and innovation are fueling a healthy and sustainable game for the future. The campus is also home to the USGA Golf Museum, where we honor the game by curating the world’s most comprehensive archive of golf artifacts. To learn more, visit usga.org. LAS VEGAS – Sept. 25, 2017 – Shriners Hospitals for Children Open today revealed the tournament’s new championship trophy, The Howard Hughes Cup. The winner of this year’s PGA TOUR event, taking place October 30 – November 5 at TPC Summerlin, will take home the cup presented by The Howard Hughes Corporation®, along with $1.188 million which represents the winner’s share of the $6.8 million purse. The master planned community of Summerlin spans 22,500 acres along the western rim of the Las Vegas valley on land purchased by Howard R. Hughes in the 1950s. Named for Hughes’ grandmother, Jean Amelia Summerlin, the community is today home to more than 100,000 residents and has ranked among the country’s best-selling communities for decades. Its hallmark lifestyle is created in large part by a robust list of amenities that includes 10 golf courses, 150 miles of trails, nearly 250 parks of all sizes and more. The community is a premier development of The Howard Hughes Corporation which owns, manages and develops commercial, residential and mixed-use real estate throughout the U.S. 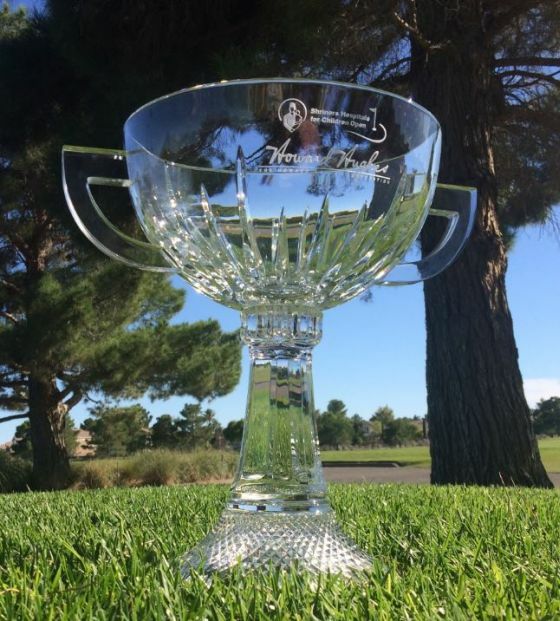 Fans will have the opportunity to see The Howard Hughes Cup in person and take photos with it on Sept. 28 from 3 to 6 p.m. at a special event in the Dining Arroyo at Downtown Summerlin®. Additional details surrounding the display of the cup will be announced soon. For more information on the Shriners Hospitals for Children Open, visit www.shrinershospitalsopen.com or follow the tournament on Facebook, Twitter and Instagram. The 2017 Shriners Hospitals for Children Open brings the FedExCup to Las Vegas as the PGA TOUR returns to the Las Vegas valley for the 35th consecutive year. Many of the top golfers in the world will participate in the competition and help support the mission of Shriners Hospitals for Children® from October 30 – November 5 at TPC Summerlin. Shriners Hospitals for Children, a health care system of 22 hospitals that provides specialty pediatric care, conducts innovative research and offers outstanding medical teaching programs, was founded in 1922 by the Shriners fraternity, Shriners International. Every year, Shriners Hospitals for Children provides care for thousands of kids with orthopedic conditions, burns, spinal cord injuries, and cleft lip and palate, in a family-centered environment, regardless of the families’ ability to pay. The health care system also provides medical educational opportunities and conducts research to improve the lives of children. Developed by The Howard Hughes Corporation®, Summerlin began to take shape in 1990 and has ranked in the country’s top 10 best-selling master planned communities for nearly two decades. Located along the western rim of the Las Vegas valley, Summerlin encompasses 22,500 acres with approximately 6,000 gross acres still remaining to accommodate future growth, including infrastructure, open space and common areas, all within the master plan. The community is currently home to more than 100,000 residents who enjoy an unparalleled list of amenities. These include more than 250 neighborhood and village parks, more than 150 completed miles of trails, 27 public and private schools, 14 houses of worship, ten golf courses, shopping centers, medical and cultural facilities, business parks and dozens of actively selling floor plans. Homes are available in a variety of styles – from single-family homes to townhomes – priced from the $200,000s to more than $2.5 million. For information on custom homesites in The Ridges please call 702.255.2500. Visit www.summerlin.com for more information.